11.15 a.m., Morning Prayer, Holy Trinity Church, Rathkeale, Co Limerick. Readings: Genesis 12: 1-4a; Psalm 121; Romans 4: 1-5, 13-17; John 3: 1-17. 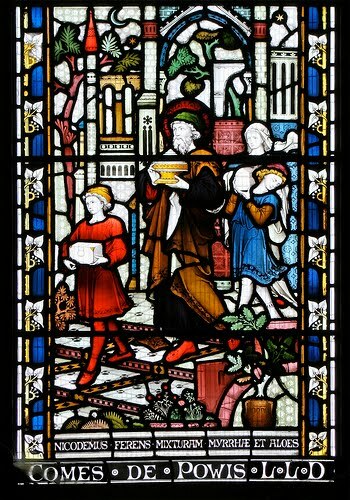 This morning’s Gospel story contains two of the most oft-quoted passages in Saint John’s Gospel: ‘Very truly, I tell you, no one can see the kingdom of God without being born from above (or born again)’ (verse 5); and ‘For God so loved the world that he gave his only Son, so that everyone who believes in him may not perish but may have eternal life’ (verse 16). Sometimes we are so familiar with Gospel stories like this, and the oft-quoted passages they include, that we can listen to them time and again without realising that they are challenging us each and every time. Our readings this morning show us that God’s call can come in the most surprising places, and at the most surprising times. And how people respond to that call has consequences far beyond their expectations and imaginations. Old Abram must have felt that he and Sarah were settling nicely into old age and into a nice home when the call came to him to get up and go, to leave his family home, and to move once again. It is one thing to have young men seeing visions. It is very disturbing for families when old men start to have dreams they want to act on and decide to move home. At that age, what woman would want to get up and go on an old man’s whim, even if there is a nagging suspicion that her husband’s whim is founded on a call from God? 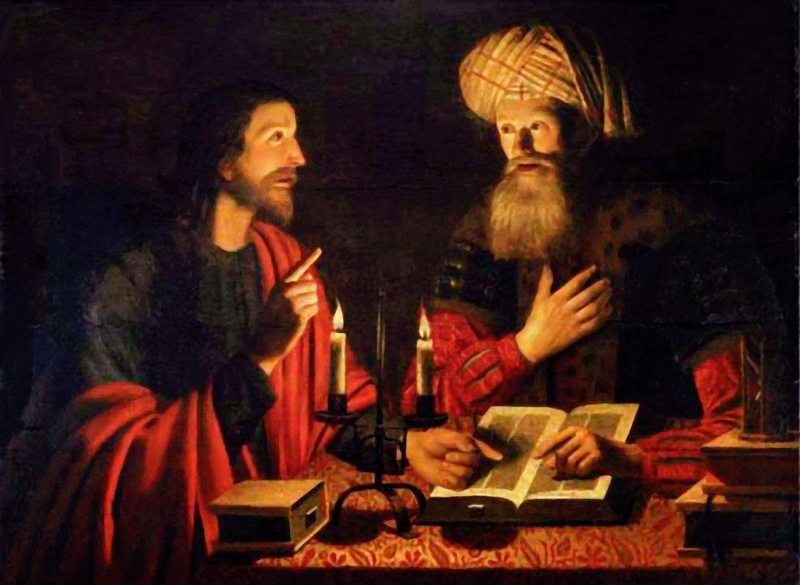 Nicodemus too may have been in advanced middle age when he comes to visit Jesus at night during Passover, and he finds Christ’s comments puzzling in the light of what may have been looming old age. But the call to follow God can come at any time and at any age. The wide variety of ages and backgrounds, for example, of my students, the students I am about to leave and who are preparing for ordination, shows that the Holy Spirit is neither chronologically nor socially prejudiced when it comes to calling us. 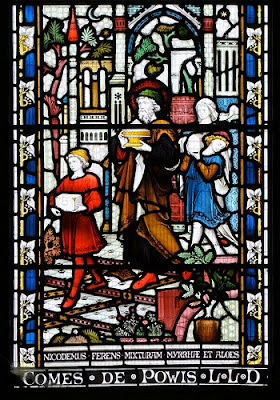 Although I was not quite as old as old Abram, or as wise as Nicodemus, I was what they once called a ‘late vocation’ when I was ordained at the age of 48. But on the morning I was ordained, Barbara turned to me and said she saw that day coming even when we were getting married over 25 years before that. God’s call came to me not in advancing middle age, but in my late teens. As a brash and over-confident 19-year-old, I was trying to break into the competitive world of freelance journalism, getting my first breaks with the Lichfield Mercury in the English Midlands. I am no wandering Aramean. But I had spent a few days hiking through Wenlock Edge and rural villages in Shropshire. I returned to Lichfield, and after dropping off my bags decided to head back into the centre of the cathedral city. I was enjoying life, and if you asked me my religious views they probably wavered between sceptical agnosticism and posed atheism. And as I strolled in (looking forward to a good evening on the town), for the first time my imagination was taken by the tall Tudor chimneys of Saint John’s Hospital at the corner of Birmingham Road and Upper John Street. It is a centuries-old establishment, under church management providing sheltered housing for the elderly. I was simply interested in it as an historical building. But once in the courtyard, I decided to look into the chapel. It is an old building, with old pews. At first it appeared dark and I hesitated for a moment before making my way down a few steps and into the main body of the church. Something was beckoning me on; it was as if I was being called to come closer to the Holy. And as I sat down to pause or think in the shades of a summer evening, I was conscious for the first time ever that my life was filled with light and love that this was the light and love of God. I emerged dazed. I knew that no matter how I responded, no matter what happened after that, I would know for the rest of my life that God loves me, that God loves me unconditionally, and that God loves me no matter what happens to me or in my life, whatever decisions I was to make. I did not know. I made way on down John Street, up Bird Street, past the offices of the Lichfield Mercury, and on into the Cathedral Close. I settled into the choir stalls in the cathedral, and sat through Choral Evensong, still tingling – rejoicing, leaping inside myself – happy being in the presence of God, and God being with me. It was if I had been born all over again, and my whole life was about to unfold before me. After choral evensong in the cathedral, I was taken aback when one of the residentiary canons who greeted me at the door and asked whether I had come along because I was thinking about ordination. A few hours earlier, Christianity, commitment and the Church were as far from my mind as you could imagine. At the time, I thought he had put his two big feet in first. But as a monk in Glenstal Abbey says, coincidences are often God’s way of giving stage directions. Did Abram know what the consequences were of answering God’s call to uproot himself and to leave his own country? Later Sarah would laugh, not with a sense of humour, but at the sheer absurdity of what she was being asked to take part in all this. How could she possibly have children, let alone believe that she and Abram would be ancestors to a great nation, that his descendants would inherit the whole world (Romans 4: 13), and that through their descendants they would be a blessing to the whole world, to the whole created order. Abraham believed. He did not live long enough to see the consequences. Yet look at what happened eventually over the course of time. But the original is not as limiting as that Chinese translation; it is not even as limiting as the modern Bible translations in English: the original tells us that God so loved the κόσμος – the whole pulsating, created order as imagined by Pythagoras and the philosophers – God so loved the cosmos that he sent his only son … [Οὕτως γὰρ ἠγάπησεν ὁ Θεὸς τὸν κόσμον, ὥστε τὸν Υἱὸν τὸν μονογενῆ ἔδωκεν …] Not that he gave insipidly, but that he sent actively, sent him on a mission. In Pythagorean thinking, the cosmos (κόσμος) includes the arrangement of the stars, ‘the heavenly hosts’ as the ornament of the heavens (see I Peter 3: 3). It is not just the whole world, but the whole universe, the whole created order. It is earth and all that encircles the earth like its skin. When Nicodemus came to visit to Christ in the dark, during the feast of Passover, he too was surprised at the challenge he was offered to him at his age. I get the feeling that Nicodemus already feels he is growing old (John 3: 4). But he is invited into the Kingdom of God, he is invited to that new, fresh, invigorating feeling that the Spirit offers, the feeling that life is just starting now. He is called into the light (see John 3: 21 later). We are not told immediately how Nicodemus responded to this call in his advancing middle age. Instead, after a lengthy reply from Christ, the narrative is going to move swiftly in verse 22 to a new location and a story about Baptism. The consequences of new life, and the gifts of the Spirit are entry into the Church and to move on to journey to a new location, the Kingdom of God. So what were the consequences for Nicodemus? Nicodemus is a Pharisee and a member of the Sanhedrin. He appears again on two further occasions in this Gospel: when he risks his status and is pilloried as a Galilean when he defends Jesus before the Pharisees and priests (John 7: 45-51); and after the Crucifixion, once again at the Feast of the Passover, when he helps Joseph of Arimathea in preparing the body of the Crucified Christ for burial (John 19: 39-42). In anointing the body of Christ for burial, Nicodemus provides us with a prophetic action. In his lavish preparation of the body for burial, he prepares him just as Lazarus had been wrapped in linen before his burial and his being raised to new life. In claiming the body of Christ for burial, he is performing a priestly act, for at the heart of priesthood lies presenting the world to God through Christ, and presenting God to the world in Christ, and doing this in word and sign. The Nicodemus who came to Christ at night now claims his body before night falls. He moves from being concerned about his own safety to taking risks in faith. Nicodemus in his careful though hasty preparation of the body is doing precisely what the women come to do on the morning of the Resurrection. He is about to find out what new life in Christ really means. Nicodemus provides the link between the best in Judaism of his time and the Church of the future and the Kingdom of God (John 3: 5). He points us from the Cross to the Resurrection, from Good Friday to Easter, from darkness to light, from concern for myself and my own safety to engaging with God’s plans for the Church, for the world and for the whole pulsating created order, the κόσμος, which is invited into the Kingdom through the Church. The Body of Christ is the Church. Nicodemus claims his place in the Church. He acts on his faith. But he could never have known what the consequences would be for him, for the Church and for the world because he first came to Jesus in the dark, because he engaged with the fact that this Jesus would die, because he claimed the Body of Christ and because he engaged in an Epiphany-like moment, revealing that the Christ who became his teacher, the Christ who was to be betrayed, the Christ who was executed, is also the Risen Christ. Like Abraham and Nicodemus, we do not know in this Church this morning, in our journey in Lent, in our life of following Christ, why we are called, where we were being called to, and what the consequences are of responding to that call, even when the future looks uncertain or insecure, no matter what age we are. All we are asked to do is to respond in faith and to be faithful. And in our faithfulness, we can pray that the God who has called us, the God we respond to, will use that call and response for his own great purposes for the Church, for humanity, for the world, for the κόσμος, and for his kingdom. Sometimes, it is only in working through how we follow that call as disciples that we realise how God has been calling, prompting, leading us on, through all the days. And when we are old and dream dreams, we can be thankful that when we were young we saw visions and responded (Genesis 40; Joel 2: 28; Acts 2: 17). And now, may all we think, say and do be to the praise, honour and glory of God, + Father, Son and Holy Spirit, Amen. 11 ἀμὴν ἀμὴν λέγω σοι ὅτι ὃ οἴδαμεν λαλοῦμεν καὶ ὃ ἑωράκαμεν μαρτυροῦμεν, καὶ τὴν μαρτυρίαν ἡμῶν οὐ λαμβάνετε. 12 εἰ τὰ ἐπίγεια εἶπον ὑμῖν καὶ οὐ πιστεύετε, πῶς ἐὰν εἴπω ὑμῖν τὰ ἐπουράνια πιστεύσετε; 13 καὶ οὐδεὶς ἀναβέβηκεν εἰς τὸν οὐρανὸν εἰ μὴ ὁ ἐκ τοῦ οὐρανοῦ καταβάς, ὁ υἱὸς τοῦ ἀνθρώπου. 14 καὶ καθὼς Μωϋσῆς ὕψωσεν τὸν ὄφιν ἐν τῇ ἐρήμῳ, οὕτως ὑψωθῆναι δεῖ τὸν υἱὸν τοῦ ἀνθρώπου, 15 ἵνα πᾶς ὁ πιστεύων ἐν αὐτῷ ἔχῃ ζωὴν αἰώνιον. This sermon was prepared for Morning Prayer in Holy Trinity Church, Rathkeale, Co Limerick, on the Second Sunday in Lent, 12 March 2017. 9.45 a.m., Holy Communion, Castletown Church, Kilcornan, Co Limerick. This sermon was prepared for the Eucharist in Castletown Church, Kilcornan Co Limerick, on the Second Sunday in Lent, 12 March 2017. This is the Second Sunday in Lent. This morning (12 March 2017), I am presiding at the Eucharist in Castletown Church, near Pallaskenry, Co Limerick (9.45 a.m.), leading Morning Prayer in Holy Trinity Church, Rathkeale, Co Limerick (11.15 a.m.), and preaching in both churches. The Lectionary readings for today: Genesis 12: 1-4a; Psalm 121; Romans 4: 1–5, 13–17; and John 3: 1–17. We use a process of community development that empowers people to take charge of their destiny by questioning their current situation, examining the causes of poverty, and using local resources to bring change to their households and communities. Through Bible studies, we organise, communities come to realise that God has already provided them with the skills, resources and knowledge they need to bring lasting change. Using this process, the congregation of Saint Matthew’s, in Matsieng, was motivated to complete a church building that had been built over a decade ago but still lacked a roof. The congregation and community offered their services for free as a donation, and took pride completing the building without enlisting outside help. In a similar way, this process – officially called the Church and Community Mobilisation Process (CCMP) – is helping communities to engage more deeply with preventive health initiatives and income-generation projects. Working with CCMP has shown me that discipleship has a communal character. Discipleship is not just about who we are as individuals, but about how we relate to each other and are able to work together and support each other. as your disciples who form the body of Christ today. Thank you for your global church of which we are a part. Help us to build up your church in love and action.